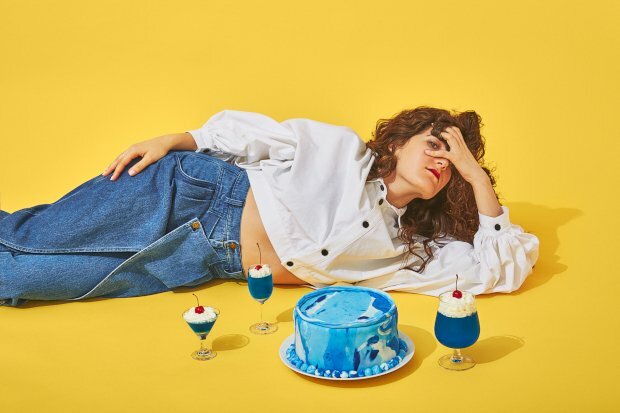 There really is a potentially brilliant show in here, but American comic Kate Berlant's hesitation to develop her stage persona beyond the most rudimentary synopsis leaves her Fringe debut coming up a little short. In this very same room across August, John-Luke Roberts has unleashed a daily explosion of creativity and comedic vigour, while Berlant has played it almost safe despite a similarly batty framework that she's cultivated for Communikate. Her hour-long patter is based mainly around being a terrible psychic which feels like a ten-minute bit, but instead she hammers away at it in the hope of either failing spectacularly every single time or at some point hitting the mark in unlikely fashion. Both outcomes certainly have inherent humour, but with nowhere else left to turn and no narrative trajectory in place, the initial fun is drained from the room. At her best, Berlant is an excellent improviser and has a few bullet-proof responses to hand whenever someone reacts to her daftness or even coughs at a quiet moment. While her New Agey schtick and running gag of addressing an offstage note-taking husband are charming at first, their repetition goes the same way as her fortune-telling: down the pan. This premise of a self-obsessed delusional artiste is familiar but also still enticing. The only reason it fails here is the lack of strong comic writing. Assembly George Square Studios, until 26 Aug, 9.15pm, £10–£12.50 (£9–£11.50).